Registering for the ShareHope Walk of Remembrance is the only way for a baby’s name to be printed in the program. ShareHope Walk of Remembrance T-shirt Pick up is Oct 1st. The final day to order a t-shirt its Sept. 26th. For personalization there is a $10 added fee. This year’s ShareHope Walk of Remembrance, we’ve added yard signs for purchase as well. These are $15. They can be purchased online or in person at packet pick up. Personal information will be written on the signs (baby’s name, date, measurements, ect) and these will be placed along the walk route the night before the walk. 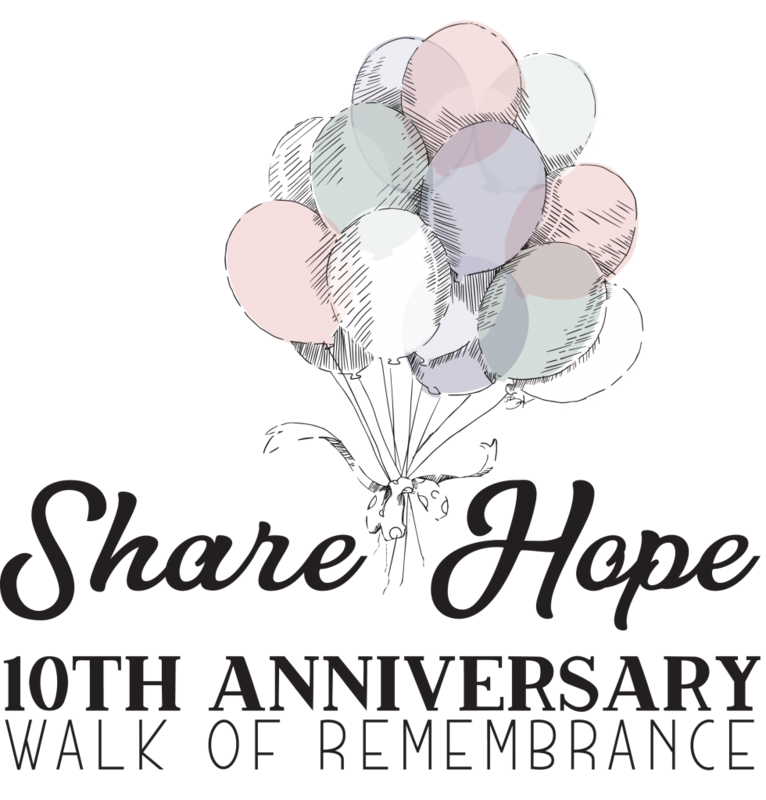 Families can come that evening or before the ShareHope Walk of Remembrance on the 6th and place mementos around their yard sign (pictures, ultrasounds, heartbeat animals, ect).